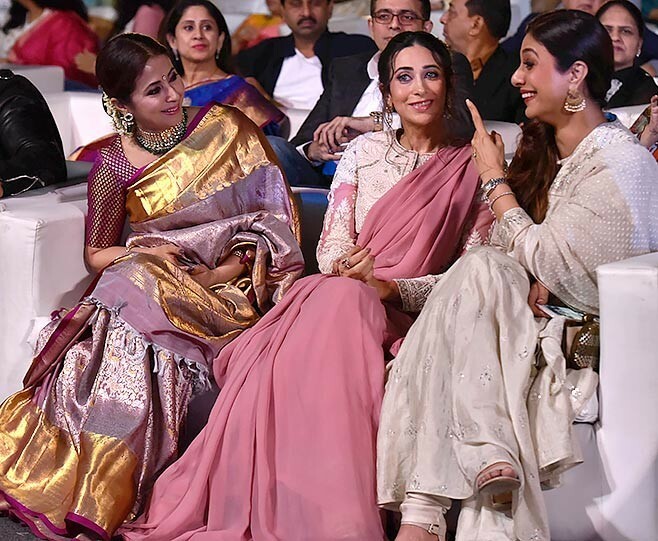 When Tabu-Karisma-Urmila couldn’t stop laughing! Everyone knows everyone in Bollywood, but it’s hard to tell the real friends. And then, every once in a while, we get glimpses of film folk attending public functions, and see them unwind with pals we would never have guessed! For instance, did you know Tabu and Karisma Kapoor share a bond? 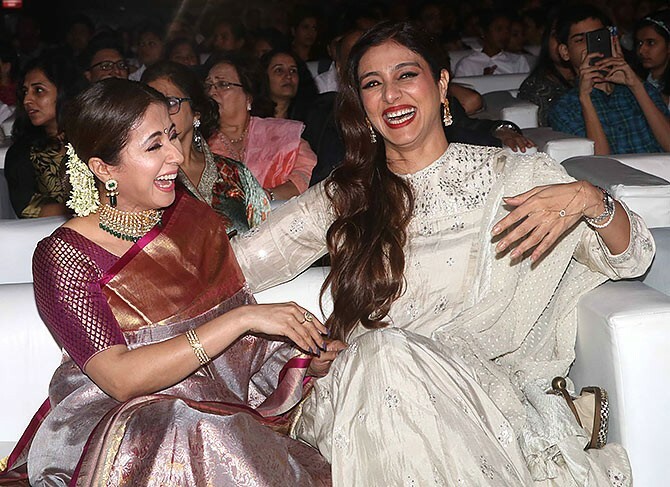 When the two ladies, who worked in Saajan Chale Sasural, Shikari, Hum Saath Saath Hai, Biwi No 1 and Jeet, got together at the Mumbai police’s annual Umang event, they couldn’t stop giggling like schoolgirls! Later, Urmila Matondkar join them, and she had Tabu in splits too.